We all know Instagram for its straight forward mobile interface of beautiful scrolling images; a social media platform that is as simple to produce content as it is to consume it. Just 2 simple clicks on your smart phone… and you’ve posted a picture to your feed. Instagram is great for taking a break from work or wasting away hours of your day… that’s true. But can Instagram for Architects also be a place to find clients? 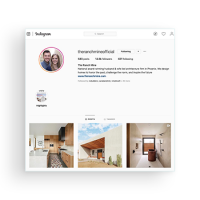 At this episode of EntreArchitect Podcast, our guest says that 90% of his current projects have come as a result of his work on Instagram. 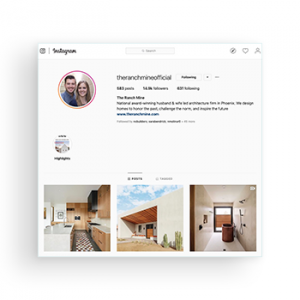 Listen in as Mark R. LePage welcomes Cavin Costello of The Ranch Mine back to the show to talk about How To Use Instagram To Find The Projects You Want.